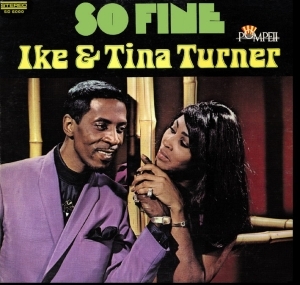 In the late Sixties after their tenures with Phil Spector and Kent Records and before their breakthrough signing to United Artists and International fame, Ike Turner took Tina and his revue and recorded them for his own Pompeii label distributed by Atlantic. This CD collects together all the vocal tracks released on the two Pompeii albums “So Fine” and “Cussin’, Cryin’ and Carryin’ On” released in 1968 and 1969 respectively. Although released many times over this is the first time these tracks have been compiled into their original format for CD release.